At the height of the Cold War back in the 1980s, President Ronald Reagan used a term that described his views regarding U.S.-Soviet relations and missile disarmament: “Trust, but verify.” Los Angeles and Southern California business owners and entrepreneurs would do well to take these words to heart when it comes to the processes and procedures followed by their employees. This applies not just to financial processes, but to a wide range of different processes across the enterprise, including operations. Not verifying that financial and operational processes and procedures are being followed by employees can open the door to a wide range of potential problems — most notably, internal fraud and embezzlement. Most big corporations have large internal audit staffs to make sure that financial and operational processes are being followed in order to safeguard company assets. This is especially true in the financial and bookkeeping areas, where the failure of employees to follow proper procedures can result in accidental financial mistakes or deliberate financial malfeasance. For example, one process implemented by many companies to help deter fraud and embezzlement is segregation of financial duties. In other words, different employees are responsible for handling different financial and accounting tasks (like filling out deposit slips and entering cash receipts) to make it harder for one employee to cover his or her fraud tracks. Another is requiring that financial and accounting employees take all of their vacation time each year. If employees are committing fraud, they often don’t want to be out of the office for a week straight for fear that they will be discovered. As a small or mid-sized firm, you probably don’t have the resources to verify that critical processes and procedures are being followed in every area of your company. But this doesn’t mean you should just do nothing. Sitting on your hands or burying your head in the sand with regard to process verification can lead to lost productivity, lower revenue and profits and — in a worst-case scenario — fraud and embezzlement resulting in the loss of tens or even hundreds of thousands of dollars. According to the Association of Certified Fraud Examiners (ACFE), the median business loss due to fraud is $145,000. It concluded that smaller businesses are more susceptible to common types of fraud like misappropriation of assets because they are less likely to have the resources to verify financial and operational processes and procedures and thus detect and prevent fraud. One of the best ways to verify your company’s processes and procedures is to work with an outsourced CFO services provider that specializes in process testing and verification. Independent testing of your internal processes and procedures by an outside expert is the best way to make sure that what you think is happening or want to happen in your company process-wise is what’s actually happening. Testing also sends the message to your employees that you are engaged in your company’s financial and operational processes and are being proactive in protecting the company’s assets. Testing can serve as a strong deterrent to employees who might be contemplating committing fraud. By the way, doing nothing also sends these employees a message — but not the one you want to send. 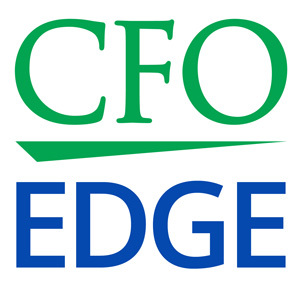 An outsourced CFO services provider will take the time to come into your company and learn about and understand your processes and procedures from the inside-out. In doing so, the outsourced CFO will be looking for and identifying control points and indicators that something might be amiss with any of your processes and procedures. In addition, an outsourced CFO can also help you put into place new processes and procedures that will minimize opportunities for your employees to misappropriate cash, inventory and other assets. This includes implementing management dashboards and other reporting and analysis tools that will help you identify fraud early on so you can take steps to stop it. For example, a cash management system that requires employees to follow detailed processes and procedures will raise alarms if unauthorized cash transactions occur. § You won’t be caught off-guard by an unexpected and disruptive breakdown of critical processes and procedures at an inopportune time. § You will send a message to your employees that management is engaged in the company’s financial and operational processes and is being proactive in protecting company assets. § You will go a long way toward deterring and preventing fraud and embezzlement at your company. § You could learn new things about how your processes and procedures can be tweaked or adjusted to improve performance, productivity and profitability. Business owners and entrepreneurs would do well to put President Reagan’s famous saying, “Trust, but verify,” into practice when it comes to the processes and procedures followed by their employees. Not verifying that financial and operational processes are being followed by employees can open the door to a wide range of potential problems, including fraud and embezzlement. An outsourced CFO will conduct independent testing to make sure that what you think is happening in your company is what’s actually happening.